Which Bus Monitor is right for me? 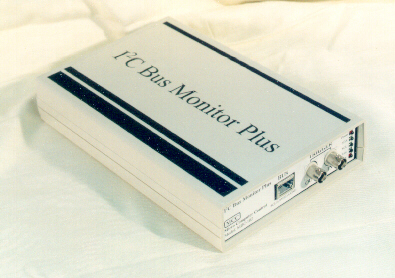 See our I2C Bus Monitor FAQ) page. Our laboratory grade instrument for comprehensive I2C Bus and SMBus monitoring, picks up where scopes leave off. Need to scan a thousand, or a million, messages? No problem. Supports microsecond time-stamping of bit, byte and message activity, low bus voltages to 1.4V, bus rates up to 400KHz, and more... Supports Packet Error Checking (PEC) with smart battery protocol violation detection. Our laboratory grade instrument for comprehensive I2C and SMBus monitoring. Includes external pod, USB interface cable, bus interface clip-leads, software for Windows XP (32-bit), Vista/7/8 (32-bit and 64-bit), and Global Power Supply. Kit Upgrade your current setup interface. Add a USB interface to your I2C Bus Monitor Plus. 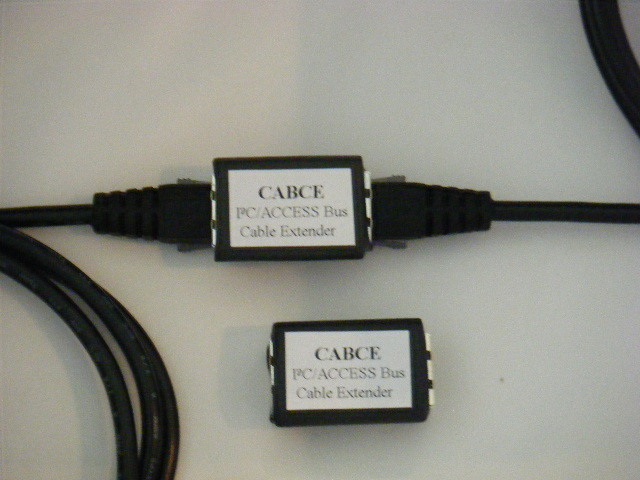 This kit includes USB interface cable, and software for Windows XP (32-bit), Vista/7/8 (32-bit and 64-bit). 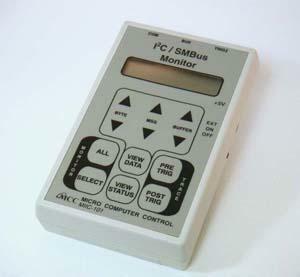 Our hand-held or remote I2C Bus and SMBus monitoring instrument. Capture and view message data in convenient hand-held mode, or use the USB or RS-232 interface and our optional analysis software to filter and display message data on your PC. Includes hand-held monitor unit, USB interface cables, and Global Power Supply. Works with our I2C/SMBus Analyzer Software below. Also available bundled in our Monitor/Software Kit. Monitor I2C Bus and derived protocol traffic with your PC. Use this Windows based analyzer software to collect, log, and display bus activity. Supports message filtering, multiple data display formats, and smart battery protocol display in engineering units. NOTE: For use with the I2C/SMBus Monitor (#MIIC-101GU or #MIIC-101G) ONLY. SAVE! on this popular monitor/software combination. This kit supplies everything you need to capture bus messages and view/analyze bus transactions with your PC. Includes hand-held monitor unit, analyzer software, USB interface cables, and Global Power Supply. Is your SBS Smart Battery Host or Charger design working correctly? Will it survive bad or out-of-range data? SBEMMY will help you find out. Is your SBS Smart Battery working correctly? Will it meet manufacturer specifications? SBTEST will help you find out. PEC Error Mark, Beep, Retry, and Stop. BatteryStatus Error Code Mark, Beep, and Stop. BatteryStatus Alarm Mark, Beep, and Stop. Battery Error Signal Mark, Beep, and Stop. Battery NACK Mark, Beep, Retry, and Stops. Packet Error Check (PEC) Generate/Test support. 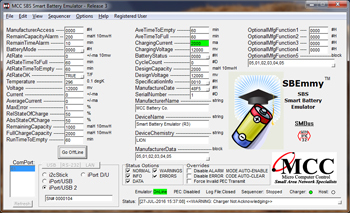 Smart Battery System v1.1 support. Which I2C Host Adapter is right for me? See our I2C Host Adapter FAQ) page. The iPort/USB 2 works with Windows, Linux, and Mac OSC based Host Computers. Supports both Standard (100Kbps) and Fast (400Kbps) I2C Bus speeds, plus the I2C Interrupt signal. Circuit Sense, ultra-low voltage (0.5v to 5v) sensing circuit. Optional switch selectable 3.3v or 5v I2C Bus power. I2C Bus Mini Interface connector. New Processor with 2x+ More Throughput. Get communicating with one of our free apps, or create custom apps with our free MS.NET Class Library, LabVIEW VI Library, or ASCII Command Set. Recommended Use: You'll find this adapter in many medium to high performance I2C Bus applications in the lab, field, or factory. 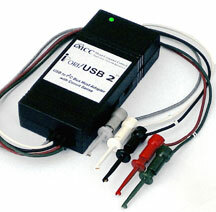 iPort/USB 2 (#MIIC-208) host adapters without USB or I2C Bus Cables. Building an extensive I2C Bus system? Contact our Support Team for assistance. We have created custom solutions for some of the world's leading high-tech companies. Let us help you. The mini addition to our I2C Bus Host Adapter family, the i2cStick 2 is personal, powerful, and pocket-size. Supports both Standard (100Kbps) and Fast (400Kbps) I2C Bus speeds. 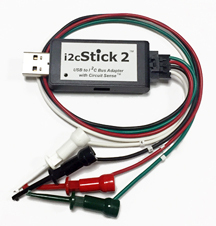 The i2cStick 2 is designed for mobile developers, consultants, technicians, and field-service personnel. The i2cStick 2 works with Windows, Linux, and Mac OSC based Host Computers. Supports both Standard (100Kbps) and Fast (400Kbps) I2C Bus speeds. The iPort/LAN 2 works with Windows based Host Computers. Supports both Standard (100Kbps) and Fast (400Kbps) I2C Bus speeds, plus the I2C Interrupt signal. Optional 5v I2C Bus power. Direct, Local (LAN), or Remote (Internet) Interface. 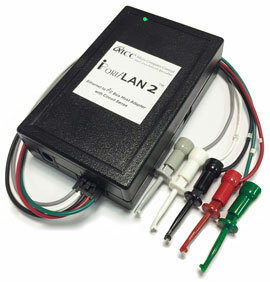 Recommended Use: You'll find this adapter in local (LAN), and remote (Internet) I2C Bus applications. RS-232 to I2C Host Adapter with ASCII Interface and Circuit Sense. 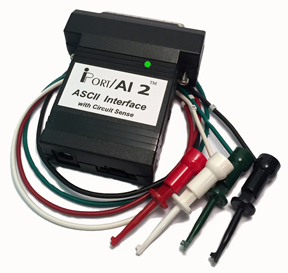 The iPort/AI 2 is our Best Value RS-232 based adapter, works with Windows or non-Windows based Host Computers. Supports Standard (100Kbps) I2C Bus speed. 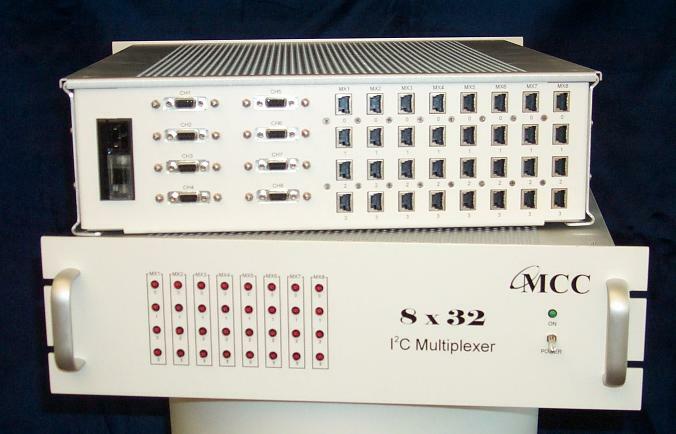 Compatible with SBC, PLC, and more. Recommended Use: You'll find this adapter in many low to medium performance I2C Bus applications. Ideal for adding an I2C Bus port to Single Board Computers or PLCs. The iPort/AFM 2 works with Windows or non-Windows based Host Computers. Supports both Standard (100Kbps) and Fast (400Kbps) I2C Bus speeds, plus the I2C Interrupt signal. Recommended Use: You'll find this adapter in many medium to high performance I2C Bus applications. 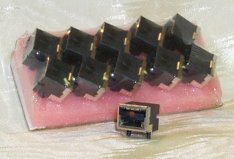 Ideal for adding an I2C Bus port to Single Board Computers or PLCs. 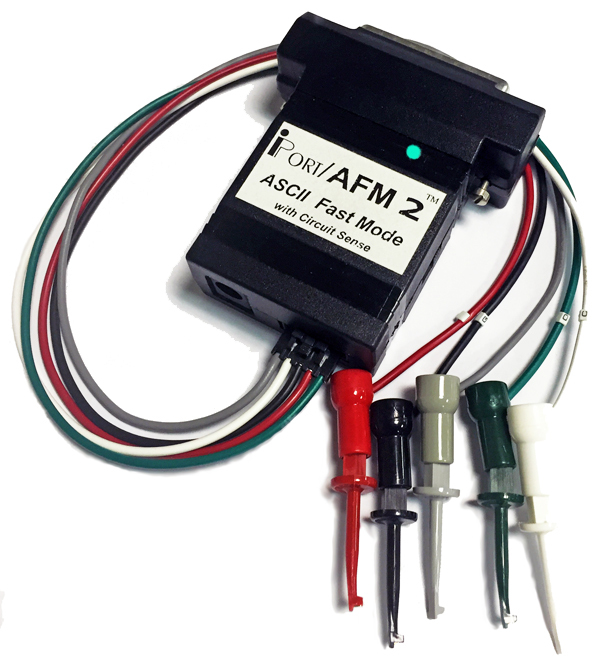 NOTE: For use with our ASCII interface I2C Bus host adapters. iBurner is our I2C Bus EEPROM Programmer software package. Blank-check, Program, Read, and Verify is now as easy as a click of your mouse. 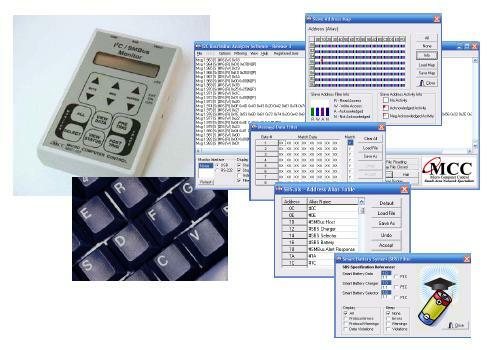 Includes our Device Library with many of the most popular I2C EEPROMs. Add new device descriptions to meet your requirements. Use the built-in script engine to automate programming on the factory floor. The ASCIIiPortLib class library provides methods, properties, events, and enumerations that support the development of I2C Bus .NET applications with MS Visual Studio and National Instruments LabVIEW. The I2C Bus Multiplexer Cabinet is a multi-channel I2C Bus interface cabinet capable of delivering up to 32 multiplexed I2C Bus channels. Ideal for environmental testing, research and development, and production line testing and EEPROM programming. Available in 5V (#IP-201) or 3.3V (#IP-201-3V) options. Add-on or replacement cables and connectors. 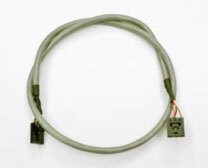 NOTE: See our I2C Cables and Connector page for details. I2C Bus Mini Interface and Clip Lead connectors. For use with the i2cStick 2 and iPort/AI 2.. The I2C Bus Mini Interface uses 1x5 2.54 mm (.100") pitch, 0.64 mm (.025") square pin, header and plug assemblies for the I2C Bus interface. I2C Bus Mini Interface and Clip Lead connectors. For use with the iPort/USB 2, iPort/LAN 2, and iPort/AFM 2. For additional details see the I2C Mini Interface page. I2C Bus Mini Interface connect both ends. For use with the i2cStick 2, and iPort/AI 2. I2C Bus Mini Interface connect both ends. For use with the iPort/USB 2, iPort/LAN 2, and iPort/AFM 2. 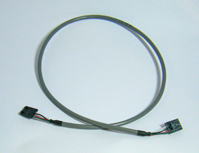 I2C Bus Mini Interface to I2C Bus CABS connector cable. 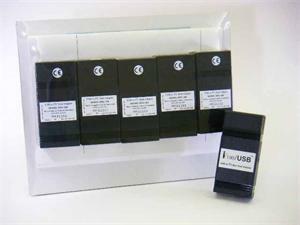 For use with the i2cStick 2, iPort/USB 2, iPort/LAN 2, iPort/AI 2, and iPort/AFM 2. 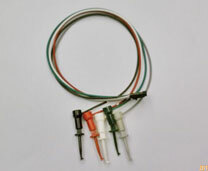 For I2C Bus CABS cables and connector details see our I2C Connector page. I2C Bus CABS to CABS cables. Shielded with positive locking connectors. Includes Lines for Clock, Data, Ground, and optional Vcc. Compatible with iPort, iPort DLL/USB, iPort/AI, iPort/AFM, iPort/USB, I2C Bus Monitor Plus, I2C Bus Monitor, iProTx, iVoLT, I2C Bus Mux Board, and I2C Mux Cabinet. 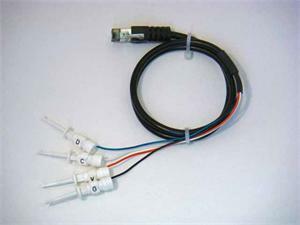 Use these MCC I2C Bus cable extenders to connect our I2C Bus CAB andCABS cables together for longer distances. For I2C Bus CAB and CABS cables and connector details see our I2C Connector page. This PCB mounted, right-angle, through-hole, I2C Bus connector works with our I2C Bus CAB or CABS cables. 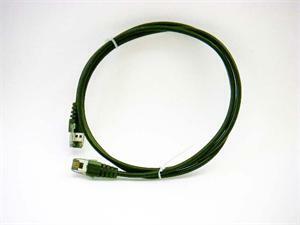 Connecting to your bus is easy with the clip lead cable. 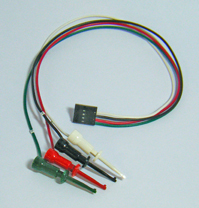 Includes mini-clip lead connectors for attaching to I2C and SMBus devices. 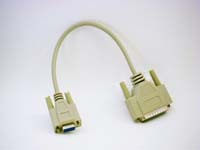 RS-232 DB-9 to DB-25 adapter cable. Add-on and replacement power supplies. NOTE: For use with MCC products requiring a 5VDC 2.5mm power source. Excludes I2C Bus Multiplexer Cabinet. Call for Return Material Authorization (RMA) number. 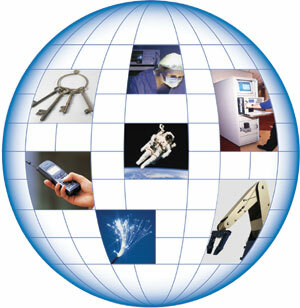 ---- MCC provides a variety of customizing and consulting services to support specific OEM customer requirements. Suggested retail pricing. Shipping charges not include. New Jersey residents add current NJ sales tax. Visa, MasterCard, and American Express credit cards, Checks in US Dollars, and Wire Transfer payments accepted. To apply for an open account, download our Credit Application. To get quotations, shipping charges, or to place an order, contact our sales department (sales@mcc-us.com, call +1 (609)466-1751, or fax +1 (609)466-4116). MCC products are sold under the following "MCC Terms and Conditions"